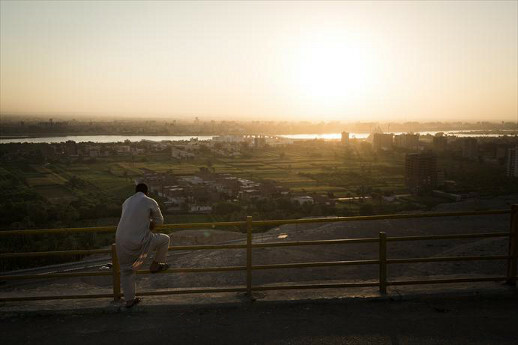 The Minya province in Upper Egypt has been afflicted by anti-Christian violence since August. The way Christians in the Egyptian town of Nazlet El-Badraman describe it, the deadly rampage that engulfed their village grew out of an unfounded rumour. When it finally blew over, one person was dead, nine were wounded, nearly 20 houses had been burned, and a teen-aged girl had been hurled from a building, breaking both her arms. And it was just one of many violent anti-Christian episodes in Egypt’s Minya province since the July removal of President Mohamed Morsi, head of the Muslim Brotherhood. It began Nov. 25 when a 20-year-old Nazlet El-Badraman woman left the town and went to Cairo. That fact is among the few details not in dispute. Fr. Srapamon Agban, a priest at Mar Gerges Church in Nazlet El-Badraman, told World Watch Monitor that the woman paid a visit to Shenouda Louis Habib, who is a neighbour to the woman, but who works in Cairo. The woman is Muslim. Habib is a Coptic Christian. Mideast Christian News, one of the few news services to report on the incident, reported that the woman visited two men — Habib and his brother — not one. MCN said the woman’s father dispatched a family member to his daughter in Cairo, “where she was checked to see if she was still a virgin”. The news service reported that “a medical examination of the girl revealed she had not been harmed”, and both the woman and Habib were warned any further contact would result in a fine for both of them. The woman returned to Nazlet El-Badraman the following day, Nov. 26, Agban said. By then, he said, rumours were flying. Two days later, he said, relatives of the woman went to the home of Shenouda’s father, Louis Habib Hanna. There was a quarrel. Soon afterward, the houses of Louis Habib Hanna and his brother, Nabil, were burned. Several of the Christian inhabitants were injured, Agban said. On that same night, a Muslim resident of the village, whom Agban identified as Hamada Saber Abdullah, 39, died in a motorcycle accident. Soon, he said, another rumour spread: The Christians killed him. Mar Gerges Church finished mass quickly the next morning. “We finished the mass of Friday very early at 8:30 and cancelled all the Friday children meetings, and closed all the doors of the church because we were afraid of the Muslims’ attacks,” Agban told World Watch Monitor. The attacks began after mourners had buried Abdullah. Marchers processed from the funeral to the Christian neighbourhood. Some threw firebombs from the roof of an elementary school, Agban said. Others looted homes. “I received a great deal of calls from the Christians whose homes were ransacked and destroyed,” the priest said. He said more than 10 homes were fully burnt, and more than 30 were ransacked. One man was killed, MCN reported. Attackers attempted to break into the church, but failed, Agban said. The attackers entered the home of Bushra Ekladios, grabbed his 14-year-old daughter, Yvonne, and threw her from the second floor of the house. MCN published a photo of a bruised girl, her broken wrists bandaged and both arms in a sling. Agban told World Watch Monitor that police did little to stop the attacks, and that several Christians were arrested, though “they didn’t do anything”. MCN reported several of the victims were arrested, and that police used tear gas to chase off the attackers. Christian children haven’t returned to school since the violence, Agban said. Ten families have left the town, and those who remain are afraid to venture out of their homes, he said. “There is a situation of panic and fear among the Christians here”, he said. “We are afraid that they can attack us again, especially after the security forces leave the village”. Minya, south of Cairo in the region known as Upper Egypt, has the country’s highest concentration of Christians. It also is home to some of Egypt’s most militant Islamic sects. Following the August military crackdown on pro-Morsi demonstrations in Cairo, angry Muslims burned scores of churches in Minya, destroying more than 30. Numerous Christian homes and businesses were looted and burnt; kidnappings have been epidemic. The Nov. 28 violence in Nazlet El-Badraman prompted the secretary for Coptic Pope Tawadros II to appeal directly to Egypt’s interior minister to protect the town’s Christians. The minister promised immediate reinforcements, MCN reported.